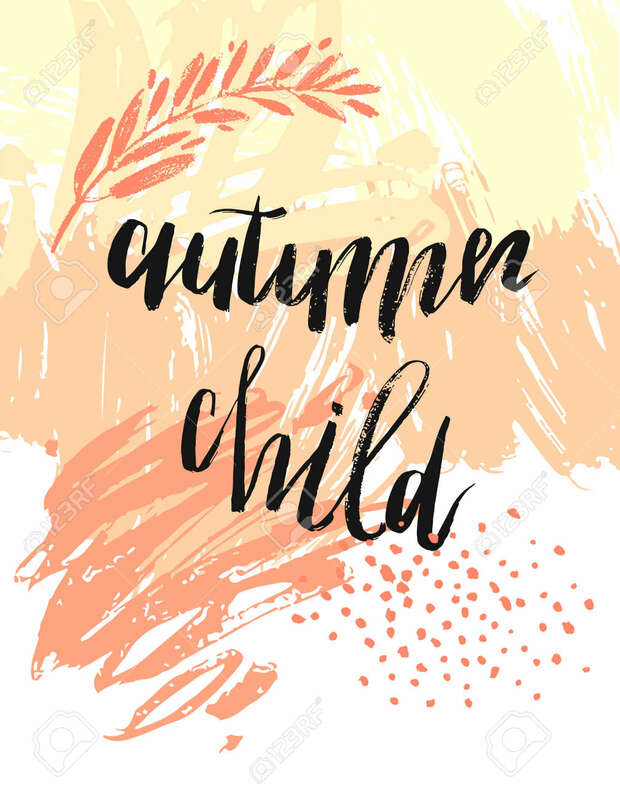 Hand Drawn Vector Textured Card Template In Orange Colors With Autumn Child Phase Handwritten Ink Lettering On White Background.Autumn Leaves Abstract Background. Royalty Free Kliparty, Vektory A Ilustrace. Image 115875059. Reklamní fotografie - Hand drawn vector textured card template in orange colors with Autumn child phase handwritten ink lettering on white background.Autumn leaves abstract background.